Kierkegaard's writings are severely complicated and readers often do not know what to make of them given the array of genres he deploys. He is at once a philosopher, theologian, literary critic, and poet in his own right who writes under multiple pseudonyms directed at an unsure audience. Stages on Life's Way is one of his longer and more elusive texts, and even scholars often shy away from it. 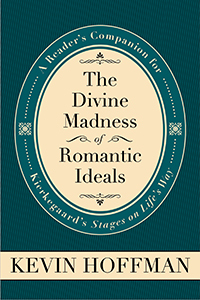 The Divine Madness of Romantic Ideals offers a close and extensive reading of this puzzling production, showing how its disarming, concrete themes of personal love and marriage help unlock more abstract conceptual boxes within Kierkegaard's authorship for a general readership, pointing out the forest while paying scrupulous attention to the trees. The overall perspective of Stages is tracked in detail to show how the oft-evoked esthetic, ethical, and religious spheres of human life are concretely distinguished and problematically related in a kind of single developmental stage. For students of nineteenth century romanticism this reader's guide offers particular nuance to a tradition of reflection that typically blends an affirmation of eroticism, the natural world, and religious longing. For students of modern existentialism, if Kierkegaard is supposed to be the father, here we find clues about who the mother might be. For theologians it provides a peculiar literary theodicy, and for patrons of moral psychology an edifying disillusionment about the frailty of human aspiration and agency. Turning against the tide of cursory reading, this book is a model for treating a lesser-known classic.